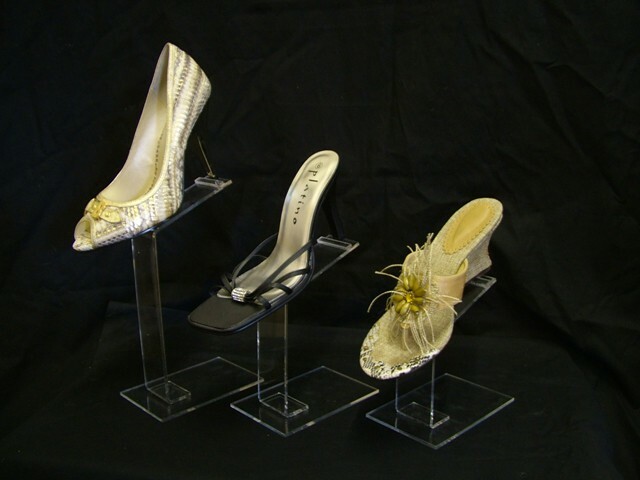 Along with our 2 tier and 3 tier stands, which are ideal for shoes, we also offer this set of 3 slimline shoe stand. This is ideal for showcasing shoes individually. They are manufactured from 5mm clear acrylic. If you have any questions about shoe stand acrylic display, please call UK Shopfitttings Ltd FREE on 0800 2707615 and we'll be happy to help.